On September 27, 2015, the 2nd Annual Litchfield ®T.E.A.L. 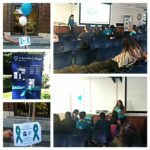 Walk celebrated the courage of Ovarian Cancer survivors and the strength of the families who’ve been touched by the disease, while spreading awareness to the general public and raising money for research. 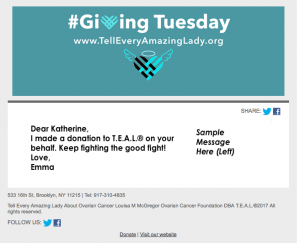 Organized by Hope Assembly #46, International Order of Rainbow for Girls, all proceeds from this event go to Tell Every Amazing Lady About Ovarian Cancer Louisa M. McGregor Ovarian Cancer Foundation. View more photos here! 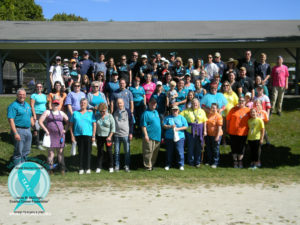 Visit the event website at www.tealwalk.org/litchfield to learn more!